Social media is an ever-changing landscape. What works to help promote your company today might not work tomorrow or next week. However, there are some specific, time-tested techniques you can implement to help your company’s social media channels. These tried-and-true techniques aren’t likely to change anytime soon. Social networking is still growing. Experts estimate there will be nearly 3 billion social media users worldwide by 2020. Having a strong social media marketing campaign is vital if you want your company to thrive and reach new leads. 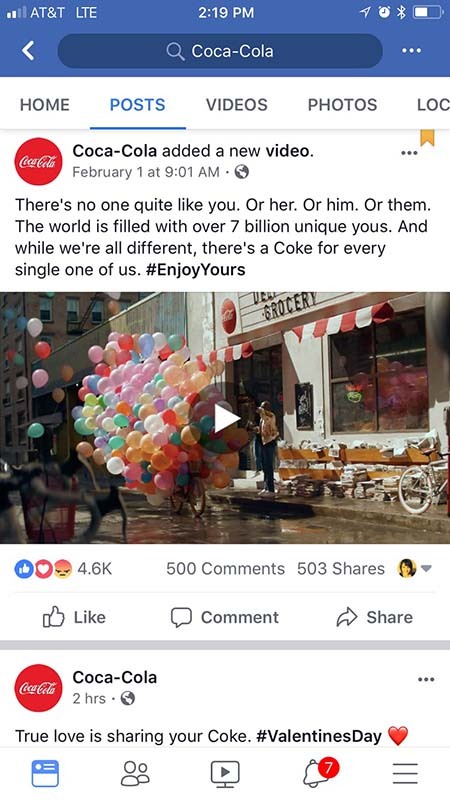 There are six things you’ll want to focus on to help your company’s social media channels be the absolute best they can be. As you come up with your social media strategy and choose what types of images and videos to post, be mindful that more and more people are using mobile devices to access the Internet. Fifty-two percent of consumers stated they were less likely to engage with a brand if they had a bad mobile experience. An example of a brand that is consistent, but also caters to the mobile crowd, is Coca-Cola. Note how their social media pages and website all use the same colors and look similar, but their social media is very mobile-friendly. Look at their Facebook page. There is currently a video near the top. This video is just under a minute long, making it very digestible for mobile users. Customers crave engagement from brands. According to 63 percent of marketers, an engaged customer leads to repeat purchases, or customer retention. Engaging with customers on social media is fairly simple, but can be time-consuming. Many companies now hire social media marketers exclusively to work on social media exposure. There are many excellent examples of companies engaging with customers, particularly on Twitter. Check out @Wendys to see how the restaurant chain engages consumers in humorous ways. One example of their sassy brand persona was when someone tweeted a question about the cost of a Big Mac, and Wendy’s responded, “Your dignity.” In another example, someone asked where they could find McDonald’s, and Wendy’s posted a picture of a trash can. However, Wendy’s takes their engagement further than just snarky tweets. They also respond to customers all day on social media. If someone posts a question or comment about Wendy’s, the chain responds. This high level of engagement has gained them more than 2.3 million followers. If you aren’t already using videos online, you need to add this feature to your social media channels at bare minimum. By 2020, more than 80 percent of Internet traffic will be videos. You’ve probably noticed more and more brands are adding tutorials and video snippets filled with information for their followers. Adding videos can take your social media reach to the next level and expand your brand exposure as people share your content. Dunkin’ Donuts does an amazing job of using live streaming on Facebook to entice people to come in and grab a bite to eat or some coffee. Live streaming is rising in popularity, so this is an interesting way to use videos to reach new customers. No matter what social media channels you have a presence on, taking time to customize the page to match your overall brand colors and look is a smart move. While you will want to customize each social media platform a bit, anyone who visits you on Facebook, Twitter, Pinterest or your website should immediately see similarities and recognize the look as belonging to your brand. There are likely several other brands doing the same thing you do, but if you can establish yourself as the foremost authority on a topic, you’ll gain a following. The best way to achieve this is by releasing content that proves your industry expertise — articles, videos or even webinars. Some experts choose to write a book and give it away for free to those who sign up for a mailing list. This practice allows you to reach those customers beyond social media, too. A good example of an excellent use of someone establishing their knowledge on a topic is Dr. Eric Berg via his YouTube channel and website. Dr. Berg is a chiropractor and nutrition professor who touts a low-carb, high-fat, moderate-protein diet called keto. Understanding the science behind keto can be confusing, so he offers videos to educate his audience, along with recipes and tips. He also offers products on his website related to the same way of eating, but the videos on YouTube are 100 percent free. Releasing dozens of videos a month has gained him about 1 million followers. Companies are increasingly relying on user-generated content to reach new followers. About 83 percent of consumers trust a recommendation from someone they know over other forms of referrals. There are several ways you can highlight this content on your social media pages. The easiest way is to share or retweet a positive review. However, another idea is to encourage your customers to share news about your products with others. Reward referrals or hold contests to get the buzz going. Social media does change from one year to the next, but there has been a steady growth overall in the number of people using some form of social media. Be aware of major shifts in the social media marketplace, don’t be afraid to try out new platforms as they emerge and figure out where your target audience spends most of their time. If your company can adapt and learn from each change, your social media marketing plan will be strong and will stand the test of time. Engagement is the key! It seems that reputable businesses place a greater emphasis on this aspect of client relations.